In the security screen mesh industry often there will be some very accurate on the accuracy requirements, but the general time we are very difficult * * * measurement of stainless steel security screen mesh scale, hole accuracy, don't worry, now inform you how to operate. 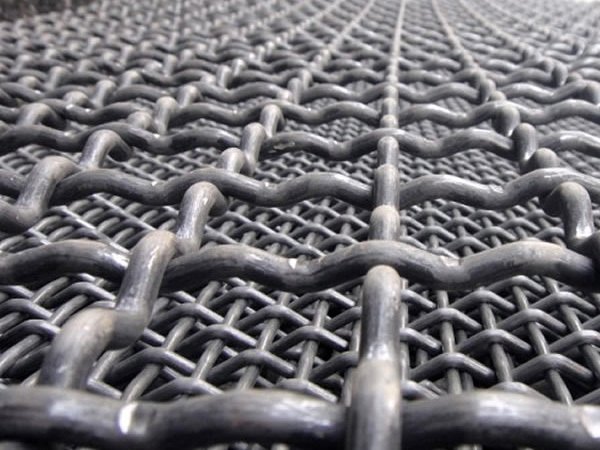 In the security screen mesh industry, there is no corresponding specification for the hole diameter of the stainless steel security screen mesh. Each manufacturer is based on the needs of customers to set the pitch. Stainless steel security screen mesh punching, according to the hole diameter of the huge, resolution punching quantity and number. Such as the hole diameter is 1. 6mm, number of holes: 34 per square inch, which is a screen.0.75 mm stainless steel plate punching made of stainless steel security screen mesh with a diameter of 2mm hole, the general Formula 1.between the hole and the hole leaving the plate thickness. 5 times, that is 1~1.2 mm, hole Center distance between 3~3.2 plum-shaped display. Stainless steel security screen mesh punching deformation amount, after punching with leveling mechanical leveling. Stainless steel security screen mesh its function that consolidates durable, elegant, widely used. But the security screen mesh molding generally has to carry out the next step of the operation process, the appearance of its processing. Why is that? The corrosive environment requires lubrication appearance because the appearance of lubrication is not easy to fouling, the accumulation of dirt will rust and even the formation of corrosion of stainless steel. In the broad Hall, stainless steel is decoration security screen mesh * * * commonly used information, the appearance of lubrication is not easy to fouling. The natural appearance of stainless steel gives a natural sense of consolidation and Bright, its natural color softly reflects the color of the surrounding environment. After the appearance of the processing of security screen mesh, will become very smooth, look more beautiful, the same cleaning time will be more convenient. For people in the future use of the process to save a lot of time, no longer wasting unnecessary time. Next: What Vibrating Screen Mesh is good for quartz sand screening?